beautiful jewellery company Gemporia, with their dreamy gemstone and diamond collections. 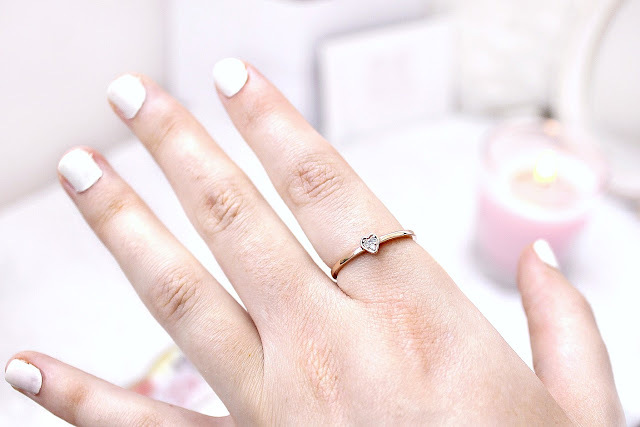 I adore dainty pieces and everything rose gold, so this li'l baby was right up my street. Its full name is the Diamond Arezzo D'oro Stacker ring, extra dainty and designed as a stacking ring, made from 9k rose gold with diamonds framed in a tiny ornate heart. It's simple yet beautiful, completely gorgeous if you like minimalist jewellery but it has a fairy-like feel about it that I just love. It arrived in a little white pouch adorned with gold, inside its postal box. 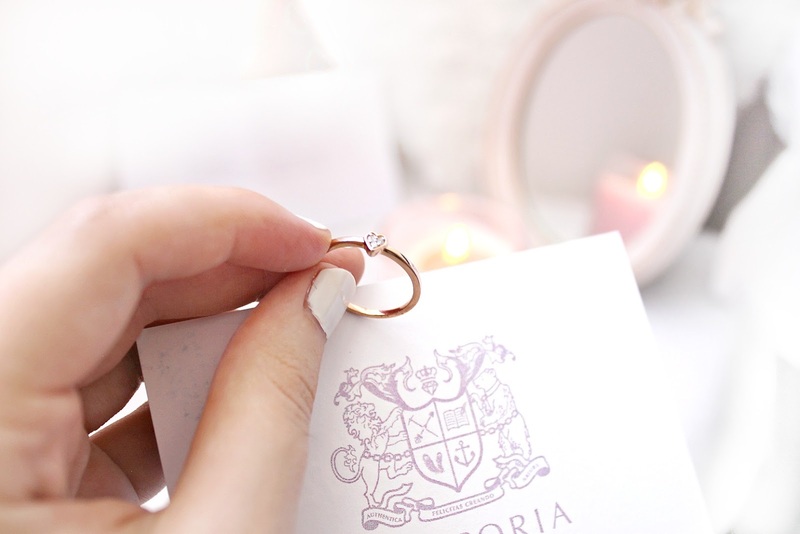 It's such a sweet ring and I was completely stunned by how many gorgeous varieties Gemporia have on their website, from jewellery customised with every kind of gemstone, every birthstone, to sparkling diamond wedding rings, to charms. There is something for everyone; I can't stop browsing the rose gold sections, nor the opulent, dark blue sapphire pieces here. So beautiful and remind me of the 'Heart of the Ocean' diamond in the film 'Titanic' *cue music*. The last few days I've been going through a bit of a blip and feeling unwell, nauseous and overwhelmingly sleepy, although I've been doing really good on citalopram overall! It's made it so I can actually feel normal most days. I feel like there's such a strong link between ME, depression and things like hypersomnia and epilepsy, they can blur in to each other. I believe that doctors and psychologists completely overlook how much of a physical illness depression can be and simplify it with labels like 'low mood', when there are so many different variations eg. catatonic depression. Sorry for the li'l rant haha! It's something I needed to say. Fabulous ring dear, love it! Wow... such very pretty and beautiful Rose gold and diamonds ring. I like so much, its looking amazing in your hand. Since I am academic assignment help folks - http://www.assignmenthelpfolks.com/ writer at Australia also providing writing services for students. I like to share this image with my sister, who have more rings and have more different collection. I am sure she is happy to see this picture. 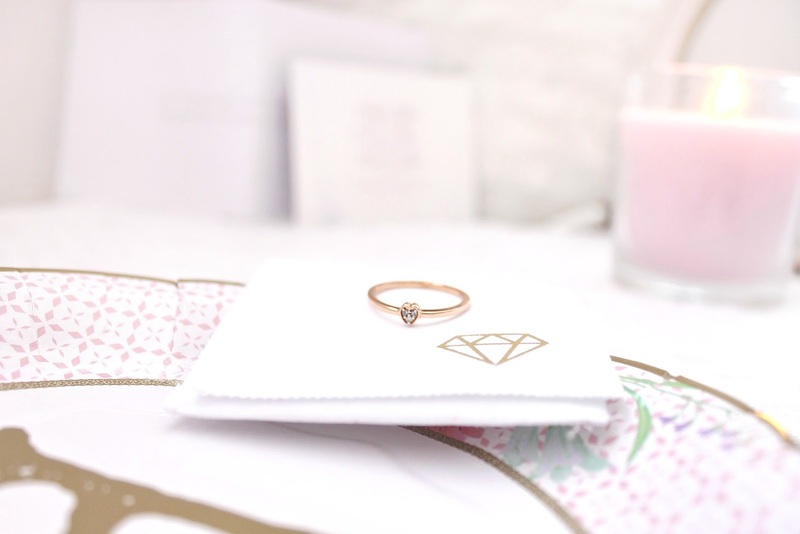 Today Rose gold and diamonds rings are a somewhat unique and high-quality compared to the additional ring styles. I am writing service provider and working with essay writer London consultancy. Rose gold, progressively general as a choice in particular jewels, is a gold and copper mixture. There are a few variabilities of colors that reduction under the rose gold. In overall, the extra copper in the mixture, the redder the ring will be. That is so cute! 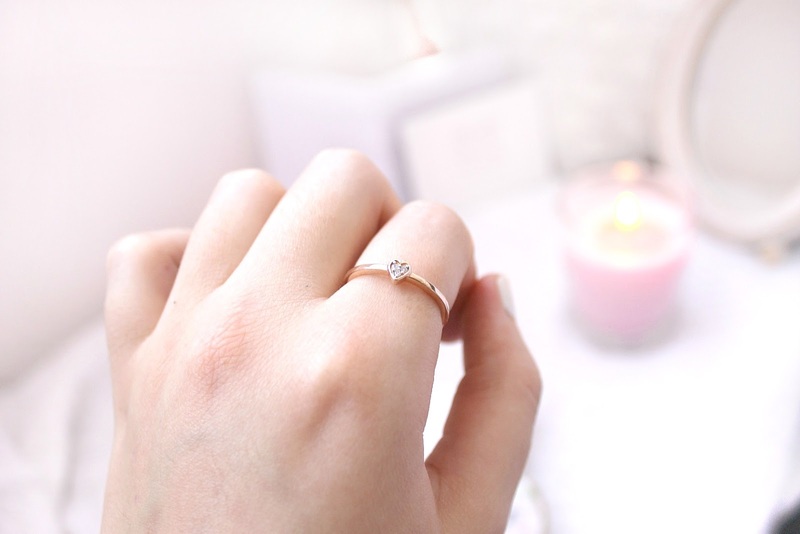 Love dainty rings like this. This ring is incredibly beautiful, I want it so bad!! Rose gold is so in right now! Lovely photos and a great read. Such a beautiful ring! I love simple rings! I'm glad you are feeling okay on citalopram. And I agree, depression is so physical. You feel it in your whole body! Anyway, as always, hope you feel even better! This ring is so beautiful, I love it! I'm glad you're feeling ok, I think you're completely right and doctors don't look further into things. I took Citralopram for a period many years ago and it really helped, so much so it was the last medication of that kind I took, so I hope it continues to help you.